For over forty years, Avis has been providing travelers and commuters a safe passage in the streets of Manila and the rest of the Philippines. 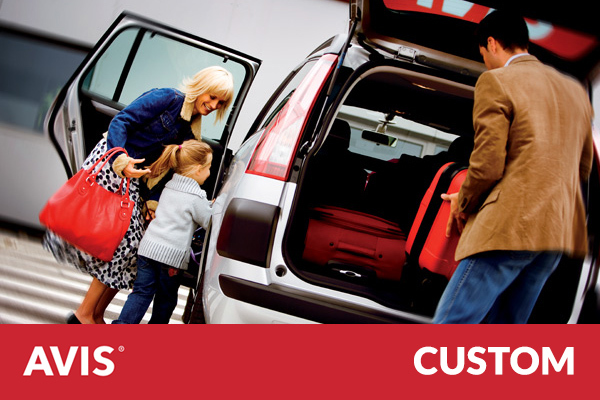 Offering airport transfers, private car rentals, and chauffeur services, have a safe and enjoyable trip with Avis every time. Each eGift Card has a unique code that corresponds to an amount (denomination). To use it, recipient must email his/her eGift Card code to avis@giftaway.ph. A reservations officer from Avis will call the recipient to confirm the booking and validate the code. The recipient is responsible for the safekeeping of the eGift Card code. The eGift Card is not valid for use on certain promotional items/services, nor can it be converted or exchanged for cash. The eGift Card cannot be availed in conjunction with other Avis campaigns running at the same time. The eGift Card is valid for one-time use only. If total value of eGift Card is not used up, there will be no change (in form of cash or another eCard) to be given to complete the full value. If the purchase exceeds the eGift Card amount, the recipient must pay the difference. Multiple eGift Card codes may be used per transaction. Advance reservation/booking shall be made within 24 hours prior to use of the eGift Card. Vehicle is subject to availability. Forty percent (40%) of estimated rental as security deposit is required for rentals, which can be settled via credit card. Refund is processed 3 to 4 weeks from the end of the rental period. Avis standard rental policies shall apply.